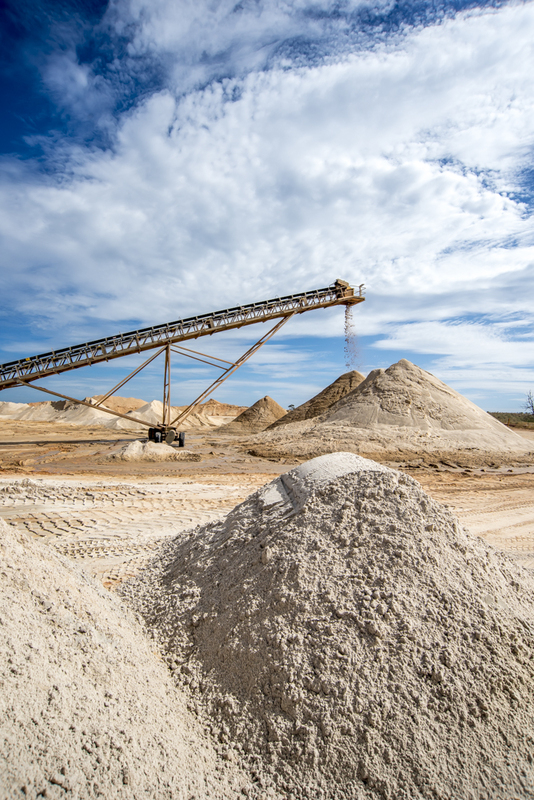 Our Shady Creek sand comes from an alluvial (river) deposit. The deposit has approximately 80 years of life left at current production levels, so you can be confident of continued supply for the long term. 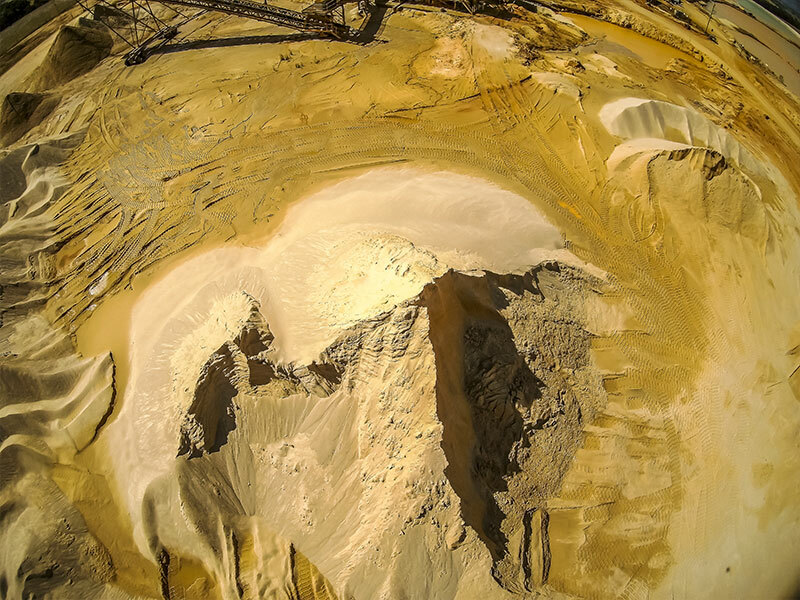 The first part of the process is to strip away the topsoil layer (this is stockpiled to use later when reconstituting old parts of the quarry) which exposes a thick clay layer (the overburden). The overburden is then removed to access the sand deposit beneath. Certain clay types are used commercially for clay capping and roadbase, other types are used for clean fill on building sites. 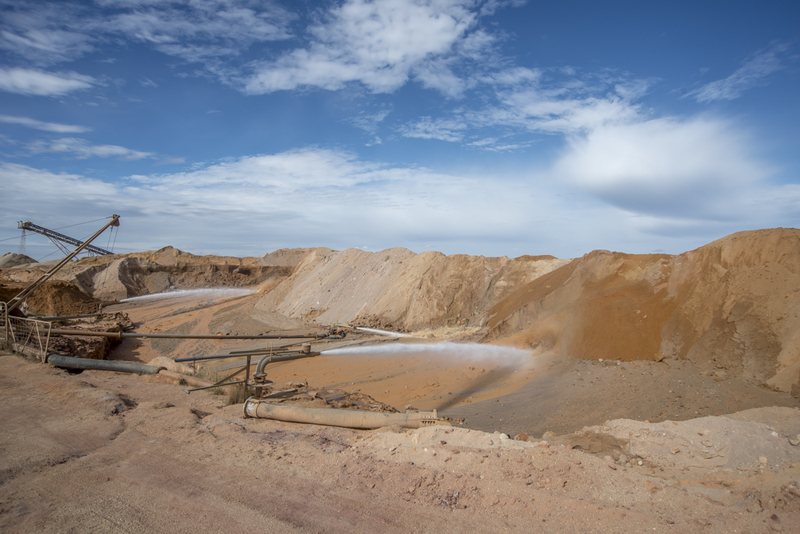 The clay overburden not required commercially is used to fill old areas of the quarry that are no longer productive. The top sand layer is stained orange/red from the clay overburden continuously leeching its colour into the sand below. This is what gives our sand its distinctive ochre colour. Interestingly the gravels and coarser granules are higher up the pit face, with the finer grains and silts having migrated down the deposit. As the distance from the top of the pit increases the colour of the sand lightens, with our finest sand being a light grey/off white colour. The sand is then transported in large haul trucks to the wash facility, where it is tipped off into another pit. 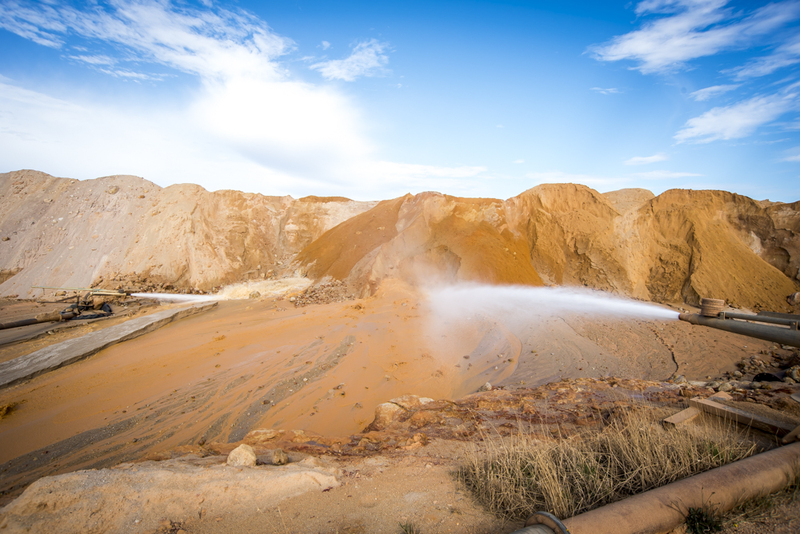 A number of high volume water jets blast the sand into a sump at the base of the pit where it forms an orange slurry, and is pumped to the three story screening plant. 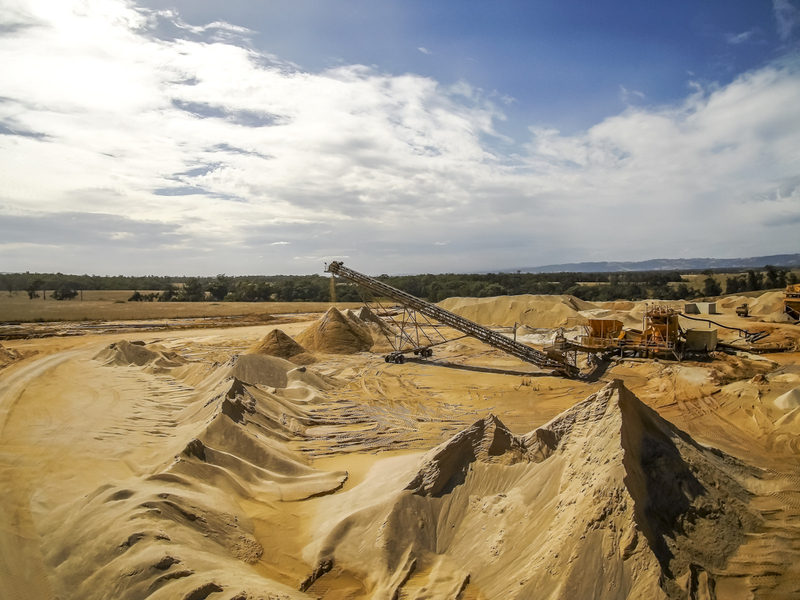 At this step of the process the sand is graded into like sized granules, larger gravels and fill material for reconstituting the old pit. The fill material generally is oversize stones and clay lumps. Now the sand is clean and graded. It is collected at the bottom of the screening plant and pumped to the dewatering plant and then deposited onto a conveyer belt which piles the product in to stacks. 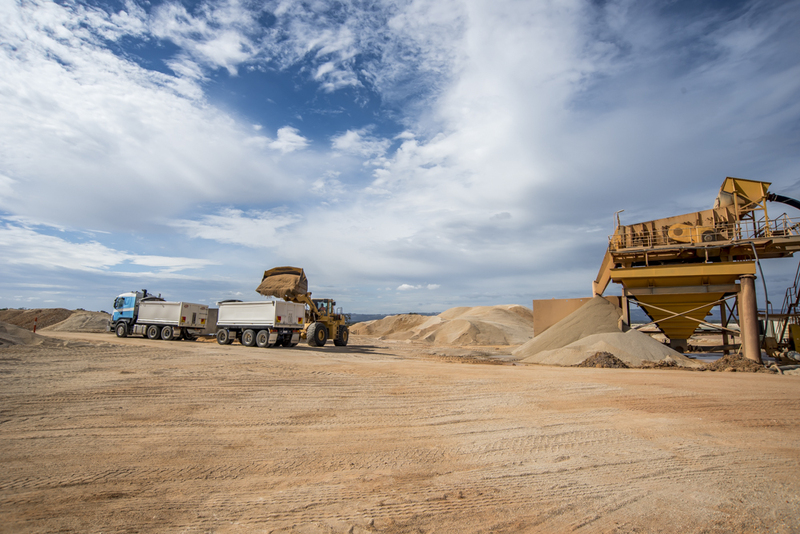 As the product is deposited on to the conveyer belt sand from another hopper is added to make the various grades we hold. By varying the size of the screens and the mixture of the additive hopper we create the varied products we supply to the market.